Four billion people on the planet use a mobile phone, while 3.5 billion people use a toothbrush. In the past two years, 90% of all of the world’s data has been generated. NASA plans to set foot on Mars in the next 20 years, and driverless cars are already being tested in Europe. The future is here, and it requires a citizenry fluent in science, technology, engineering, and math (STEM). China’s energy consumption grew by 134% over the last decade and will continue to grow. How do we balance our energy portfolio in the face of increasing global demand? Currently, 870 million people around the world do not have enough to eat. How can agricultural practices be improved in order to minimize hunger around the world? Currently, 780 million people do not have access to clear water. How can we improve access and sanitation to those in need? We’ve had the warmest decade on record worldwide. How do we thrive during times of global climate change? The Baby Boomer generation is aging and the next generation will be looked upon to make informated health decisions. How can we take care of this aging population? 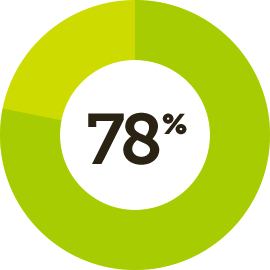 78% of high school graduates don't meet benchmark readiness for one or more college courses in mathematics, science, reading, or English. STEM-related jobs grew at three times the rate of non-STEM jobs between 2000 and 2010. By 2018, it is projected that 2.4 million STEM jobs will go unfilled. At the same time, minorities are deeply underrepresented in STEM fields—just 2.2% of Latinos, 2.7% of African Americans, and 3.3% of Native Americans and Alaska Natives have earned a university degree in STEM fields. This underrepresentation means that minorities lack qualifications to access STEM-related jobs, which, in addition to being more plentiful, are also better paid than many other jobs. STEM jobs have doubled as a proportion of all jobs since the industrial revolution.